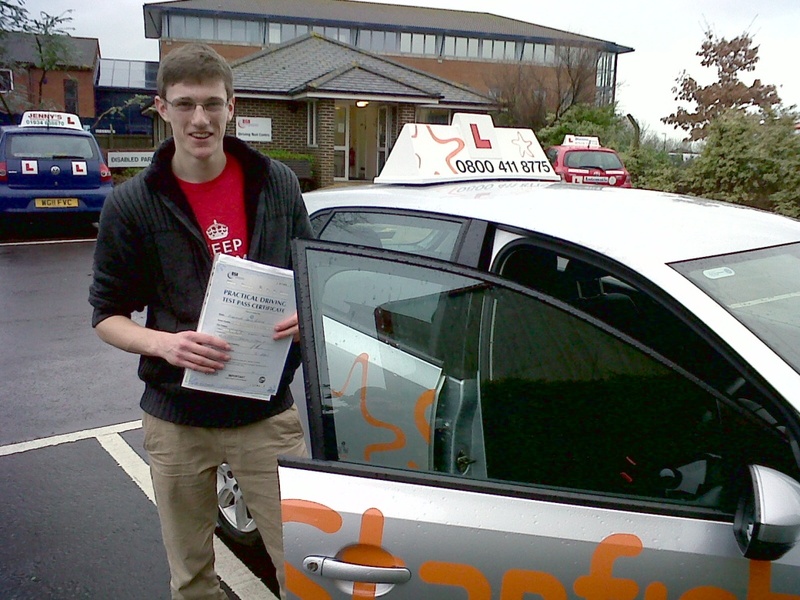 Alex with his Practical Driving Test Pass Certificate outside Weston-super-Mare Driving Test Centre. Many congratulations to Alex Rossiter from Mark who passed his Practical Driving Test with just 1 minor on Tuesday 29th January 2013 at Weston-Super-Mare driving test centre. All the best from your Driving Instructor Nigel Steady and all the team at Starfish Driving. A great drive! Enjoy your driving and all the best for University. This entry was posted in Driving Lessons, Mark, Weston Super Mare and tagged Driving Lessons, mark, weston-super-mare. Bookmark the permalink. ← Driving in the Snow!